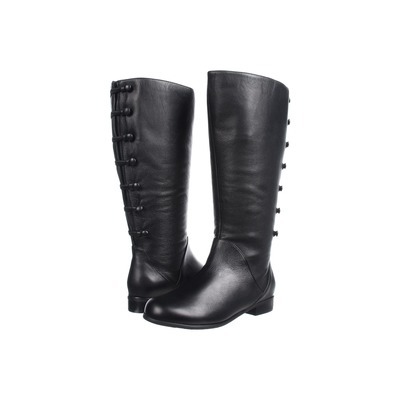 Ros Hommerson Trendy Medium Calf Black Leather Rosie boot, - - It's Free! We call it Medium-Wide because the calf is wider then average regular calf. The new Trendy boot has button and loop detail with leather insert that extends to allow extra room for those of us with muscular calves. This low heel boot in top grain leather is available in Medium-Wide calf to give just the right amount where we need it the most.